Through this collaboration, approximately 1,500 units of residences in Gamuda Gardens will enjoy a 2-year complimentary unifi high speed internet service of 100Mbps; which will be upgraded to a higher bandwidth upon vacant possession (VP) of their homes. The complimentary package also comes with premium entertainment varieties from unifi TV which include LIVE sports, kids, lifestyle and international TV channels as well as telephony service. At the event, representing Gamuda Land were Project Director Aw Sei Cheh and Executive Director of Sales & Marketing Lillian Lung who signed the agreement while State Vice President, TM Selangor, Dato’ Zuraidah Mohd Said and Head States, TM ONE, Nizamuddin Hashim represented TM. “As one of Malaysia’s leading town-maker, Gamuda Land creates places that people will call home, want to be a part of, grow up and grow old in. One important aspect of creating a sustainable town is connecting people. Be it physical or digital connectivity, we are mindful throughout our masterplan design and architectural construction to incorporate the right facilities and technology to encourage interactions among people which are pertinent to building a sustainable community. Such demand is on an upward trend that has somewhat become a necessity, where high-speed internet is now almost as important to new home buyers as running water and electricity,” said Aw, adding that Gamuda Gardens’ property owners will expect high-speed internet connectivity to be available from the day they move in. “In today’s digitally-connected environment, smart services adoption will pave the way for the development of smart cities. With our proven capabilities at TM, we aim to help property developers and local councils nationwide at solving the diverse challenges faced by urban areas in mobility and transportation, safety and security, environmental and social sustainability and public services which can be achieved through TM ONE’s comprehensive suite of smart solutions,” she added. 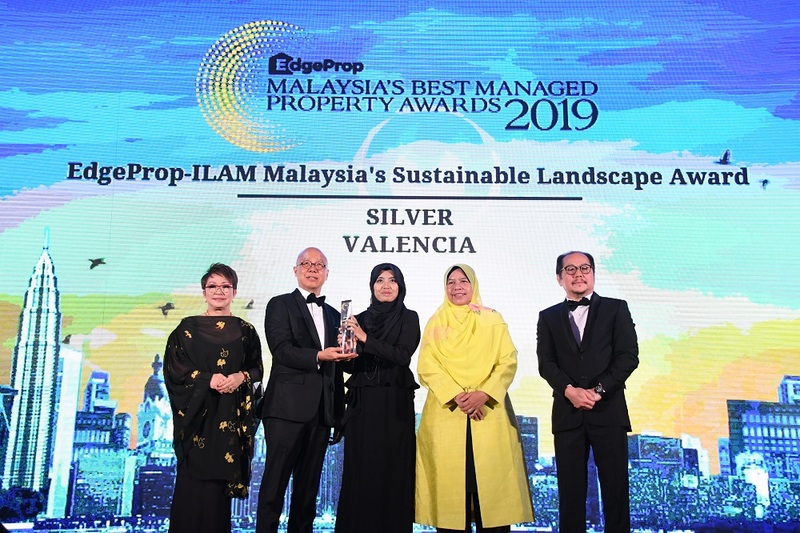 Located at the confluence of three major highways, LATAR, Guthrie and North-South Expressways, Gamuda Gardens is a Malaysia Green Building Index Silver rated township with a gross development value of RM10 billion, offering a mix of residential and commercial developments. Its 6,000 residential units encompass link houses, linked villas, semi-detached, bungalows and service apartments. The township’s first service apartment, Gaia Residences was recently launched last month, offering 500 units of four built-ups of 640 sq ft, 660 sq ft, 750 sq ft and 900 sq ft starting from an indicative price of RM360, 000. Gamuda Gardens’ upcoming commercial hub houses retail lots, corporate offices, a shopping mall and shops with the Waterfront Retail Village Square situated at the centre of the town serves as gathering places where the community can get to know one another. 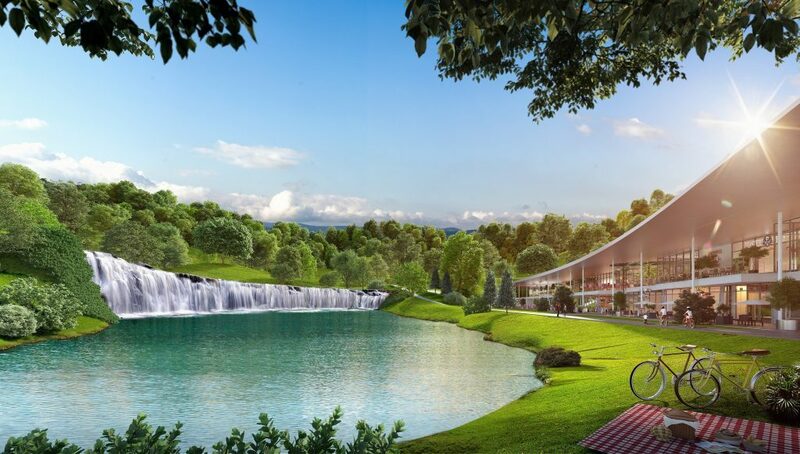 Dubbed “in a garden where happiness lives”, the key feature of Gamuda Gardens is the five cascading lakes that flows into 2 waterfalls which are integrated into a 50-acre central park with a mixed-terrain jogging and cycling trail as well as various pocket parks. “A town that works must have all the right places, so we do not only think of the home place, but also the work place, park place, gathering place, shopping place, the learning place. 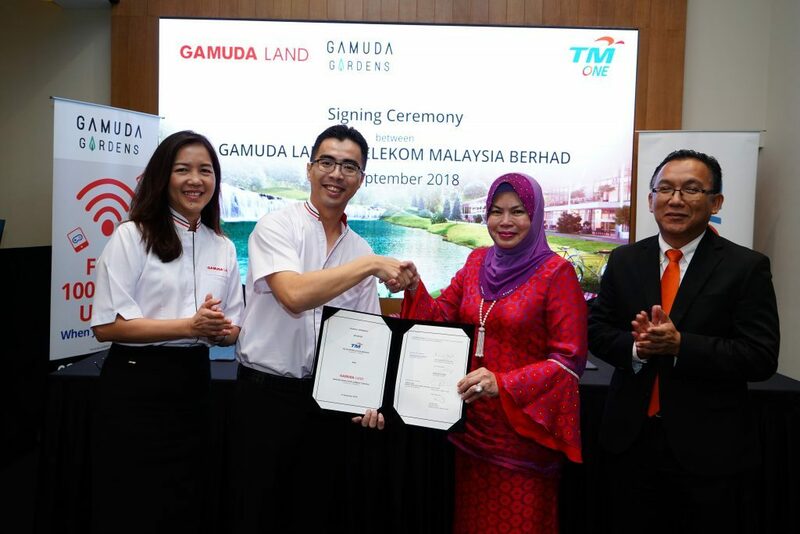 Now with TM on board complementing the digital connectivity, Gamuda Gardens in short connects an individual with the community, the nature and the world through its strategic location, facilities and technology,” added Aw. Gamuda Gardens is located just 5km away from Kundang Estates, a boutique development that offers tranquil countryside living by Gamuda Land. To find out more about these homes, please visit Gamuda Gardens’ sales gallery on site or Gamuda Gardens Experience Gallery located at Damansara Uptown. Alternatively, please call 03-6037 2888 to speak to a Gamuda Gardens’ relationship manager or log on to gamudaland.com.my for more information.